To be THE go-to resource for Cessna owners, pilots and aspiring pilots. To encourage, support and enhance our members' Cessna experience by providing information, industry support, personal connections and camaraderie in print, online and in person. To promote, support and protect General Aviation and the Cessna Flyer lifestyle. The Cessna Flyer Association was formed in 2004 with one goal in mind - help you get the most out of owning and flying Cessna aircraft. 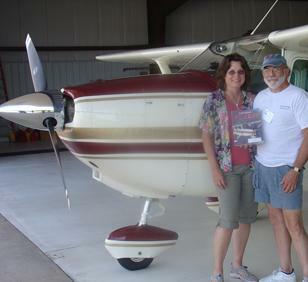 The Cessna Flyer Association (CFA) understands both the dream and the reality of owning a Cessna. We understand that underpinning the dream is a lot of hard work and determination. When you received your “ticket,” you were probably told that it was a license to learn – and you took that to heart. That desire to learn continues to be an important aspect of your Cessna experience. CFA feeds that desire for knowledge through our monthly magazine, Cessna Flyer, and through seminars and other events. Recent seminars have included information about ADS-B, aviation insurance and engine management. We also know that you need to keep up the maintenance of your Cessna to be able to keep the dream alive. Each issue of Cessna Flyer includes technical and maintenance articles including, Q&A with Steve Ells, as well as current Airworthiness Directives and Aviation Alerts. Members have access to our online database of ADs and Alerts and back issue archive of articles as well as a technical support via phone and email. 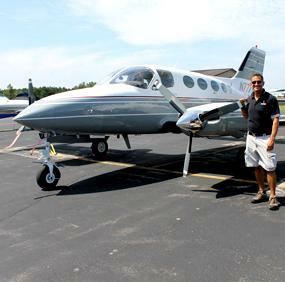 At the Cessna Flyer Association, we help you keep the gears turning, but we also embrace the passion of flight and celebrate the joy and fun that is flying at its best. Browse the pages of Cessna Flyer magazine and you’ll find articles on fun and exciting places to fly and events to attend. You’ll read columns by authors like Thomas Block and Kevin Garrison that celebrate flight or provoke discussion. The benefits of membership are outlined on the Membership Benefits page, so take a few minutes to review them, check out what members have to say about us in the comments below, then join us - you’ll be happy you did. I had a great time with everyone. Looking forward to next year. You and Kent did a fantastic job! Kudos to Kent, Jennifer and Heather for another terrific hosting of the Cessna/Piper gathering at the Waupaca Comfort Suites Foxfire Inn. This is one of the best kept secrets of the entire Oshkosh experience. Only 40 miles from Oshkosh, with their own airport in town that is a $3 cab ride to the resort hotel on a golf course, and with a very good restaurant next door, makes it a very enjoyable stay. The inclusive price also gets an air conditioned motor coach round trip ride to KOSH for two days. At a room rate that the CPA negotiated, I doubt if there is another hotel within 50 miles of KOSH that will match that price. Meeting some very good aviation folks at the Saturday night cocktail party and attending the seminars Sunday were tops, as well as the dinner that evening. There were some very knowledgeable speakers from their respective companies. Some of the prizes won in the drawings were quite valuable, and everyone attending won something. Hope to see you all again next year .... and some newcomers, too. It's fun. Thanks for your excellent help with locating the cables! Keep up the good work. Thank you for actually responding to my e-mail requests for help on finding parts. Y'all have the magic touch, please keep the course y'all have been on. I love the magazine, and appreciate all the help I've received from Kent and company when looking for parts, or equipment for my aircraft. Nice magazine which positively integrates what is missed by other good magazines. With all the parts locating and tech support, how much more can we ask for. I enjoy the positive attitude of magazine and authors. Thanks for a quality magazine and services and benefits offered.